Ironmaster1070	| Write the first review! You can strengthen your entire core with this versatile attachment! 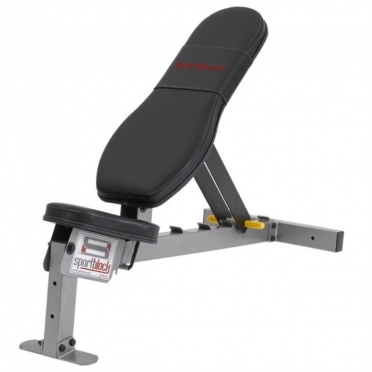 This Ironmaster Hyper Core Attachement simply plugs into the bench and turns it into a 45 degree hyper extension bench for: Hyper Extensions – Lower back, Roman Chair – Abs, Oblique Crunch – Side Obliques, and Reverse Hyper – Glutes/Ham. 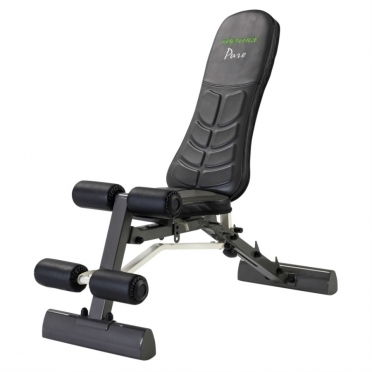 Option Ironmaster: Ironmaster Super Bench ( €399,-)	i The Ironmaster Super Bench is not only a high quality weight training bench, the addition of the many attachments transforms the bench into a multi gym with minimal space. The Super Bench’s compact footprint and extensive features make it the ultimate bench for any weight training application. The attachment has an adjustable foot holder for users of different heights and is very stable. You get about a 90 degree bend for range of motion. Dimensions are 59 cm wide x 51 cm deep x 147 cmlong. When attached to the Super Bench it requires 59 cm extra length and the top of the pads are 112 cm from the floor. 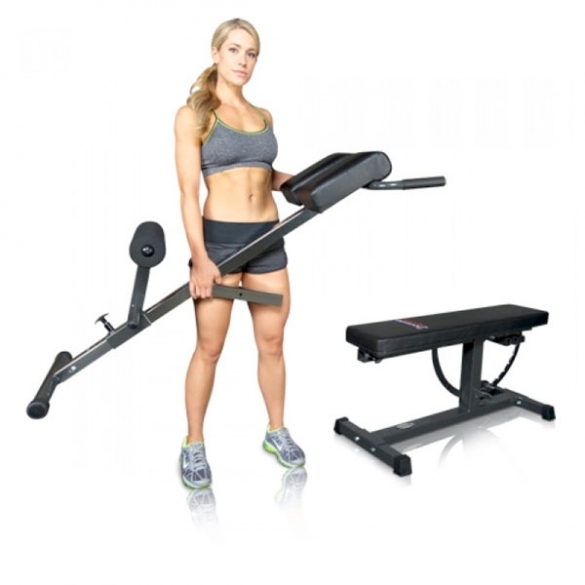 This item only includes the Hyper Core Attachment – Super Bench sold separately. 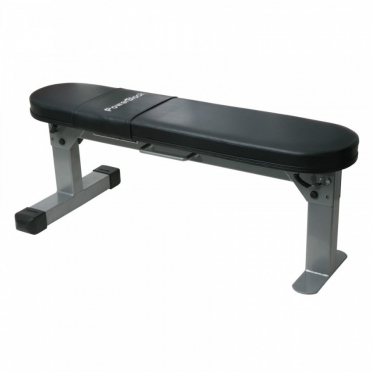 A compact multi-purpose Tunturi Pure utility weight bench with a multi-angle seat. With ergonomically designed multi-position backrest which can be adjusted to incline, decline, military and flat positions. 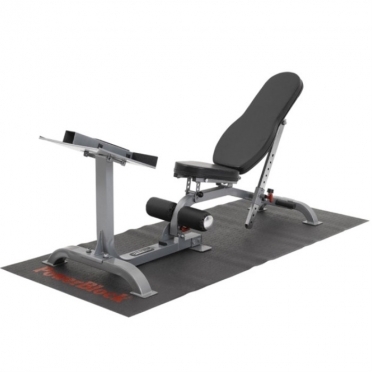 Also features high density foam padding, box stitched upholstery and vinyl covered foam leg rollers. 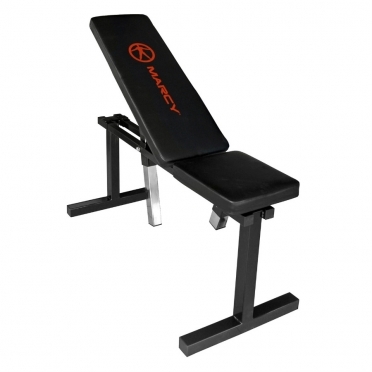 Perfect for use as a dumbbell bench, abdominal board and can be used in conjunction with the Pure Strength Squat Rack. 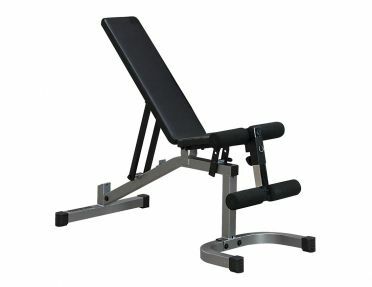 This Body-Solid Powerline Flat incline decline weigth bench allows proper form and positioning for incline and shoulder press exercises. Improved design features quick and secure 4-position ladder style back pad adjustment. 3-position seat pad adjustment for bent knee sit ups and ab crunches.